This property got listed on VRBO recently, so there are not many reviews yet but all are 5 star reviews! 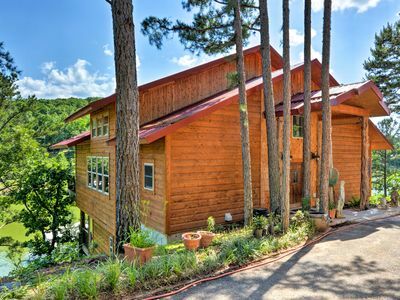 You and your guests will love "Grand Panoramic Retreat". 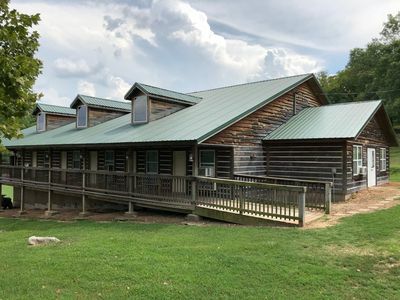 With 6 bedrooms, 3 bathrooms, 12 beds that sleep 16 people plus 4 queen sleeper sofas that sleep 8 people, plus couches that can sleep additional guests if needed, outdoor cooking, large screened in porch with awesome lake views, mood lights, large yard and more, your families will love your stay. We also have backyard games such as horseshoes, frisbee, corn hole bean bag toss and other games for your family to enjoy. 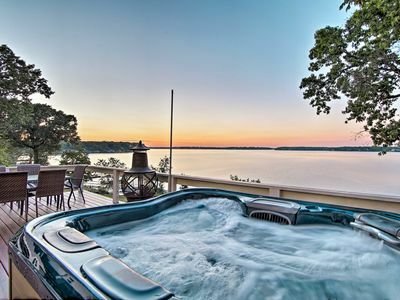 We also have a year-round hot tub, a 12x30 boat dock available where you can dock your boat on the side (no lift) and fish and swim off the dock plus 300' of lakefront. 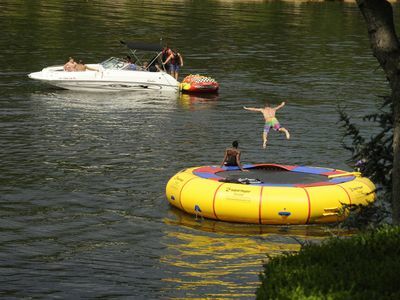 We have a Water Lilly Pad (6' x 18' styrofoam mat) you can lay out on and play on at the dock. We also have our very own boat ramp launch on our property. The fishing is amazing! 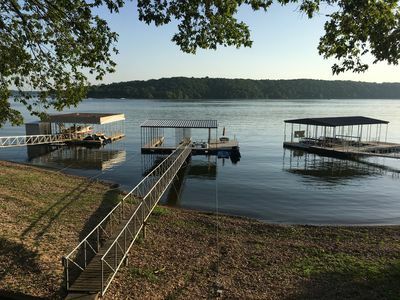 You can load in your boat right on property and dock it there as well! We provide all of the pots/pans, cooking ware, glasses, cups, plates, silverware, etc. 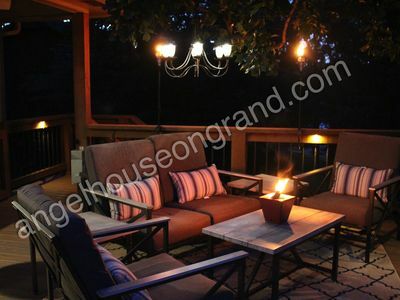 You can also enjoy our outdoor grills if you want to cook outside while enjoying your time on the deck space. 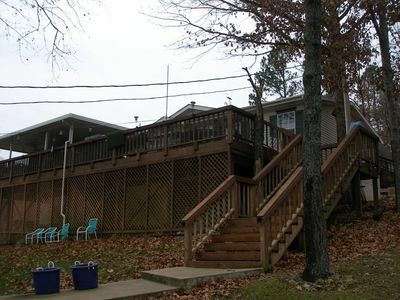 Enjoy great panoramic views of the open water of Grand Lake with the property facing Sailboat Bridge. The sun sets right in front of our property by Sailboat Bridge are amazing and you will love taking lots of pictures and enjoying the sunsets with your family and friends! 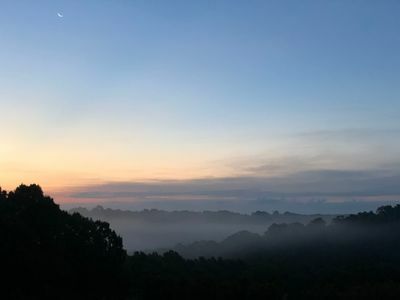 For early risers, you can also see an amazing sunrise! Grand Panoramic Retreat has a total of 6 bedrooms. The beds are one King bed, 3 Queen beds, 8 twin roll-away beds with memory foam mattresses, 2 Queen sleeper sofas (memory foam mattresses) in our upstairs open concept bedroom, 2 Queen sleeper sofas in the downstairs family room/bedroom for night time sleeping. Your group can decide where you want to set up the roll-away beds. The upstairs Master Suite has an amazing King size Bed and a Smart TV. 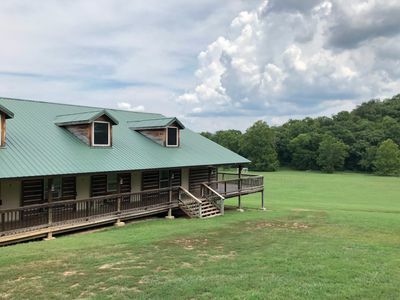 It has a claw foot tub for you to enjoy your stay as well as a large master bathroom with double vanity, a make-up station and a large walk in shower big enough for 2. There are 3 twin roll-away beds in the closet for you to use as needed. The upstairs living area is our open concept bedroom combo area for you to enjoy with 2 Queen sleeper sofas, a small refrigerator, microwave, and coffee maker with coffee provided. 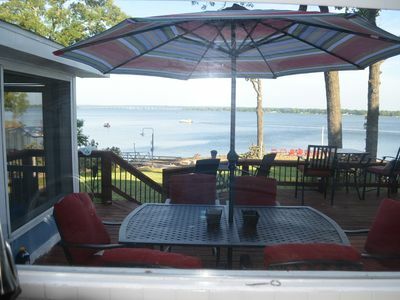 There are double sliding glass doors that go out to the balcony with seating that overlooks beautiful Grand Lake. You will love your stay! It has a separate heat/air unit. At night the upstairs living area transforms into an open concept bedroom with 2 queen sleeper sofas so 4 guests can sleep in that room as needed. Or you can use one or two twin roll-away beds there to sleep more. The third bedroom (second Master and downstairs) features a Queen Bed (sleeps 2) and a private full bathroom. The bedroom has a smart TV. There is a large walk-in closet and dressers for your stay. There are 4 twin roll-away beds in the closet with memory foam mattresses for you to use in the house. The fourth bedroom (downstairs) has a Queen bed (sleeps 2) and has a great lake view. The fifth bedroom (downstairs) has a Queen bed (sleeps 2). There is also a twin roll-away bed you can set up in the house. The 6th bedroom is a family room during the day and a night-time bedroom with 2 queen sleeper sofas. You can also set up twin roll-away beds in the dining room or throughout the house as needed. For larger groups, you can set up the roll-away beds in whatever room or area of the house that fits your group. We have a full kitchen. 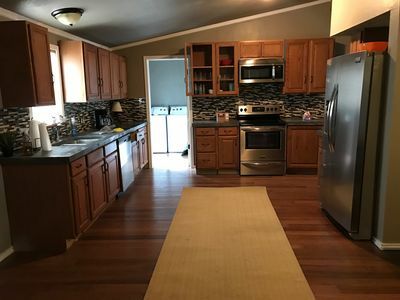 The Kitchen is fully equipped with an electric stove/oven plus an additional wall oven, dishwasher, 2 side-by-side refrigerators with filtered water/ice makers, disposal and regular coffee maker (with coffee and creamer provided), pots, pans, dishes, glasses, silverware, blender, food processor and much more. Your guests will have plenty of space to eat together with the dining room with a large table and chairs that seat 10 people. Plus we have stools in the kitchen island for more seating for 9 ( for a total of 19 guests). 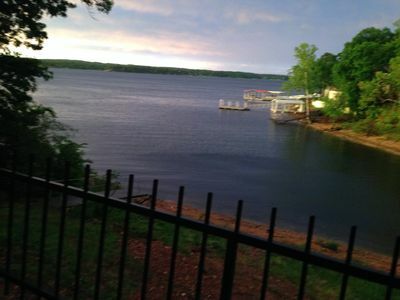 You will enjoy the fireplace feature and great views to Grand Lake. 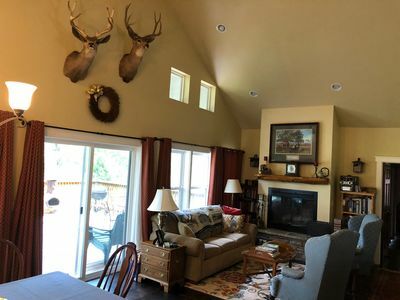 Your group can also enjoy multiple living areas like the main living room, upstairs family room, downstairs family room, front porch, outside deck, balcony and large yard. 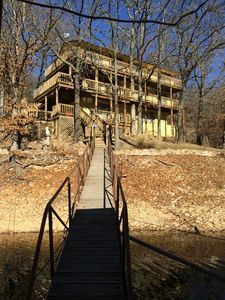 It has a panoramic view of Grand Lake. 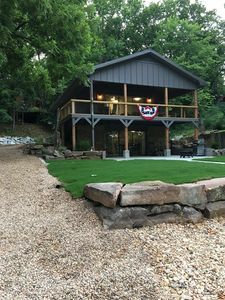 We provide a fantastic outdoor area with a large charcoal grill and a gas grill with propane and a smoker. You will have plenty of places to cook or grill your food, whether inside or outside. We provide a bag of charcoal and fluid for your convenience as well as propane for the grill. 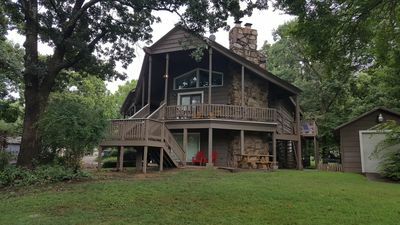 Keywords: Duck Creek Retreat, Grand Lake, North Grand Lake, Bobber Drop, Sailboat Bridge, Bass Pro Fishing Tournaments, Grove, VRBO, Homeaway, airbnb, Grand Lake Vacation Rental Oklahoma, Pine Lodge Resort, Family Vacation, Grand Lake O' the Cherokees Getaway, Reunion, Boating, Fishing. Large House, Group Vacation, Lake House, cabins, Arrowhead South Marina, Cherokee Yacht Club, Ketchum, Langley, Grove, Oklahoma, Church Retreat, airbnb, Ugly John's, GRDA, Bassmaster Classic, fishing tournament, Easter, Thanksgiving, Christmas, 4th of July, Memorial Day, Labor Day, Bobber Drop, Meat Run, Wolf Creek, Wolfe Creek Fishing Tournaments. 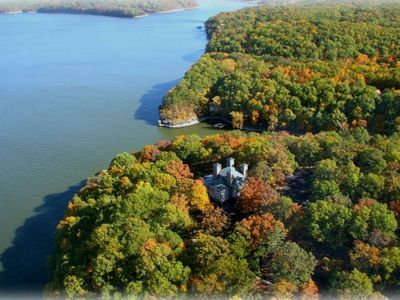 A castle on the lake! Private, exquisite, unbelievable. TiaJuana Cove I on Grand Lake! Newly remodeled lakefront cabin! 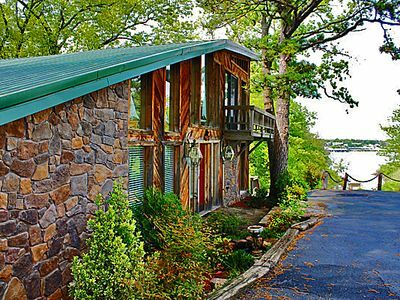 Eucha Home w/Hot Tub & 2 Boat Slips on Grand Lake! Beautiful New 2 bedroom home that sleeps 6 comfortably. 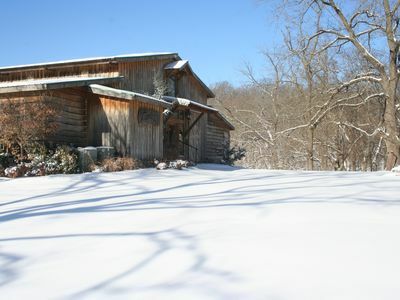 The Meadows Lodge is a Hotel style lodge with 8 rooms and 2 suites available. NEW! 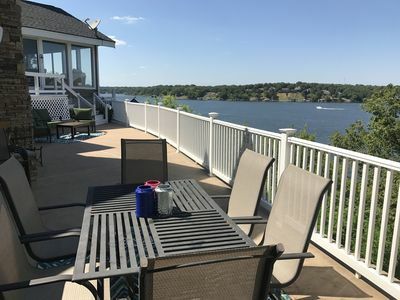 South Grand Lakefront Oasis w/ Deck & Dock!